In the literary world, you’re spoilt for choice. Whatever your taste, more often than not, when you walk into a bookshop, you’ll find it. In the process of doing so, you gravitate towards a particular category- for example, fiction or non-fiction, travel writing, self-help, and so on. This is where the concept of a genre comes in. The Dictionary defines ‘Genre’ as ‘A class or category of artistic endeavour having a particular form, content, technique or the like.’ So, one can talk about different genres or categories in films or art but we’re focussing on writing genres so it’s Fiction and Non-Fiction broadly. -Poetry and Prose, Thrillers, Mysteries, Romance, Paranormal, Science fiction, Historical fiction and so on. Non-fiction can be Travelogues, Self-help, Religious literature, Economics, and just about anything. -Why do you need to pick a genre? Because that’s the way the market works. All writing needs to fit into some category or the other. If you’re writing as a professional, your agent or publisher will ask you which genre you’re writing in. It won’t work to say ‘I write anything’ or ‘I write this and that’. They want you to be focussed. They’re busy people and they want to know you understand the market. 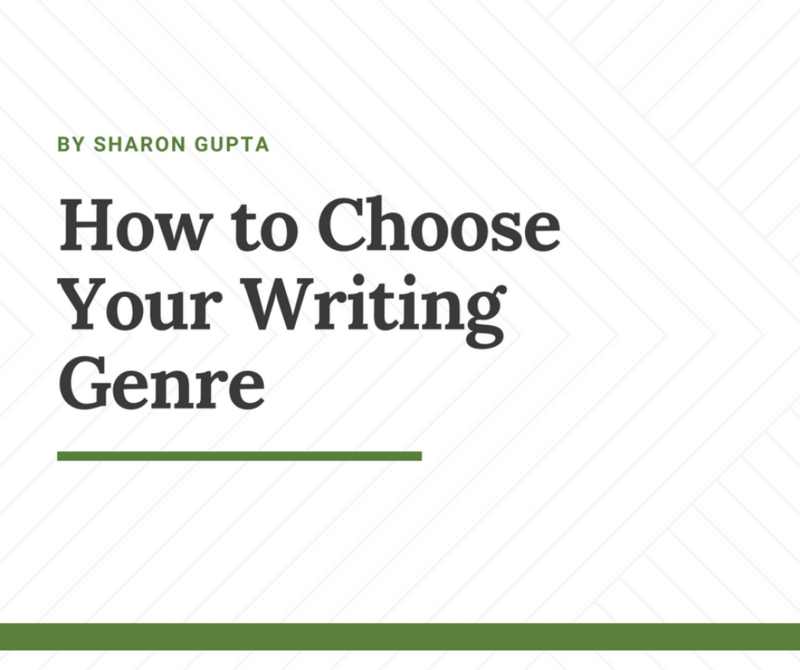 Picking a genre is also important in order to establish your identity as a writer. For instance, Stephen King, the master storyteller, usually writes horror or thrillers. So, when you pick up a Stephen King novel, that’s what you expect. Ditto the case with Lee Child, who’s one of the world’s bestselling thriller writers. He has stuck with Jack Reacher stories for over twenty years. Nicolas Sparks writes highly successful romance novels; he hasn’t departed from the genre, either, as far as I know. When I started out as a writer, I wrote a romance novel and a thriller and submitted the first three chapters of both to Darley Anderson, who happens to be Lee Child’s agent. Darley didn’t accept either but he suggested some changes in the thriller I sent. I incorporated these, even though it meant overhauling the first three chapters, and that’s what finally became The Shakespeare Murders, my Elizabethan Thriller, which was published by Tara India Research Press in October 2017. One important thing Darley pointed out, however, is that he was ‘worried about me switching genres’. -How to pick your genre: Six Secrets! What are you good at? Do you enjoy research? Are you an expert in any particular line of work? Do you possess any particular skills? Even something as banal as Physics or Engineering can spur a person into becoming a successful writer. John Grisham, for instance, is a lawyer. He turned his experiences into a hard hitting first novel called A Time To Kill. Siddharth Mukherjee is an Indian-born physician and oncologist, who put his work into a book called The Emperor of Maladies and won the 2011 Pulitzer Prize for Literature. If you have an MBA degree, it means you have the ability to study hard and pass difficult exams. Those qualities can hold you in good stead when you spend long hours researching your novel. Wanna be a travel writer? Then you must have the means and ability to travel! Won’t do to write from an armchair, not in that particular genre. Writers like Paul Theroux and Bill Bryson are so popular because they travel around the world and record real experiences first hand. Same is the case in writing cookery books. You’ve got to know how to cook and experiment with new dishes all the time. If you want to write thrillers, be prepared to learn as much as you can about the Police, Criminology, weapons, drugs, different penal codes, and so on. Are you writing for children, young adults, or adults? Enid Blyton was such a prolific writer and she only wrote for children. Many of us would’ve grown up reading her Secret Seven, Famous Five and Five Find-outer stories. And who can forget Noddy and Big Ears? Stephanie Myers targeted young adults with Twilight. See how successful she was. Here’s another secret: women make more loyal fiction readers and men seem to lead the non-fiction readers brigade. I keep going back to Lee Child, since I’m a huge fan. Although he writes about a male ex-army MP, the tagline in his Jack Reacher novels is: ‘Men want to be him. Women want to be with him.’ It’s clear that Mr. Child (his real name is Jim Grant, by the way!) keeps both men and women in sight- in short, all adults- when he writes. This one’s a little tricky because, unfortunately, it’s not fool proof. To begin with, yes, it’s good to know what you’re up against. Let’s take the example of historical fiction. Not always a bestselling genre but Hilary Mantel wrote a series of historical thrillers set in the reign of Henry the Eighth. Two of those won the Booker Prize! Wolf Hall in 2009 and Bringing Up the Bodies in 2012. They both sold well. So, it’s best to stay away from historical thrillers set in those times, don’t you think? Medico-legal thrillers don’t usually sell well, but how about working in that genre if you’re a doctor and you have a story to tell? You need to be a quick writer to leverage this one since popular trends have a short life. As a student of English Literature, I read Edmund Spenser’s Sixteenth Century works: The Faerie Queen, Prothalamion and Epithalamion. Beautiful, lyrical poetry but it has absolutely no marketability today. The great Russian novelists like Tolstoy and Dostoevsky were popular in their day but would they find a publisher in modern times? It’s been said often, read, read, read while writing. What do you love reading? If it’s one particular genre, you’re unlikely to succeed in something entirely different since the genre you love will be your strongest influence. I love reading thrillers and, having studied English Literature, authors like Jane Austen and Thomas Hardy inspire me along with contemporary thriller writers like Ian Rankin, Mark Billingham, Stephen Booth, Simon Kernick and, more recently, Oliver Harris. Once you’ve made a name for yourself, it’s time to try something different, if you so wish. You can be good at two related genres. For instance, you can try writing poetry. Or, if you possess a keen, observant mind you may try something requiring those skills. Take the example of Bill Bryson. A famous travel writer, he’s also written a book on Shakespeare and a book filled with science facts called A Brief History of Everything. Both are absorbing, wonderful works. Sharon Gupta is an Indian Civil Servant and a writer. She was born in Delhi, graduated with English Honours from St. Stephen’s College, Delhi University, and also acquired a Master’s Degree in English Literature from Delhi University. 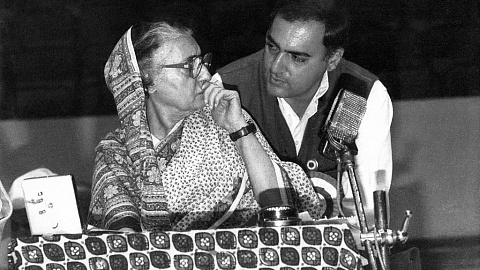 She joined the Civil Services in 1994. She is married and has a teenage son. Sharon’s articles and short stories were published in leading Indian newspapers and magazines over the years. She self-published a historical fiction novel in October 2000. Her new novel, The Shakespeare Murders, was released by Tara India Research Press in October 2017. It’s currently available on Amazon and in major bookstores across the country. Besides Contract Kavita on Juggernaut.in, Sharon’s short story Jaipur Estate is available on www.freeditorial.com and her short thriller Gods on Speed is on www.wattpad.com. She is represented by the Red Ink Literary Agency. Her works are showcased on her website: www.sharongupta.com and on her blog: https://sharonwriter.blogspot.in. She goes by the name ‘Sharon Gupta’ for her writing. Last month she won the Empire writing contest of Juggernaut for her short historical fiction piece, Razia Super Sultana. Besides writing Sharon loves reading, music and playing the guitar. She speaks English, Hindi and French. She is currently posted in a field office of the Ministry of Communication in Chandigarh.